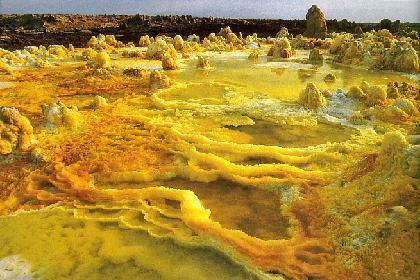 Lava bubbles and oozes inside a lava lake in Ethiopia’s Ertale volcano. 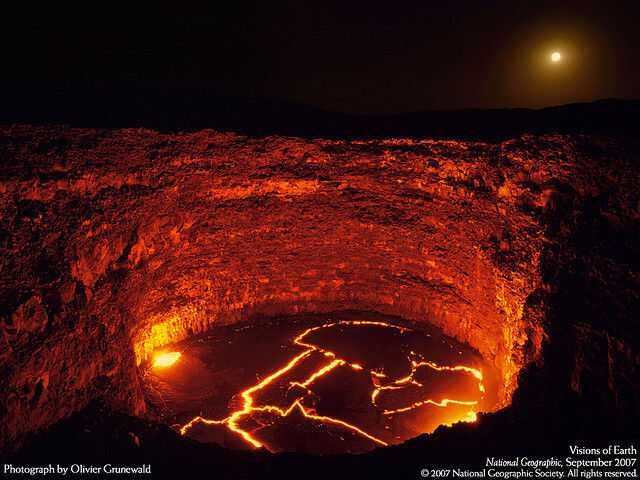 Molten surface temperatures range from 550 degrees Fahrenheit (288 degrees Celsius) to nearly 1000 degrees Fahrenheit (540 degrees Celsius) at the center of the pit. 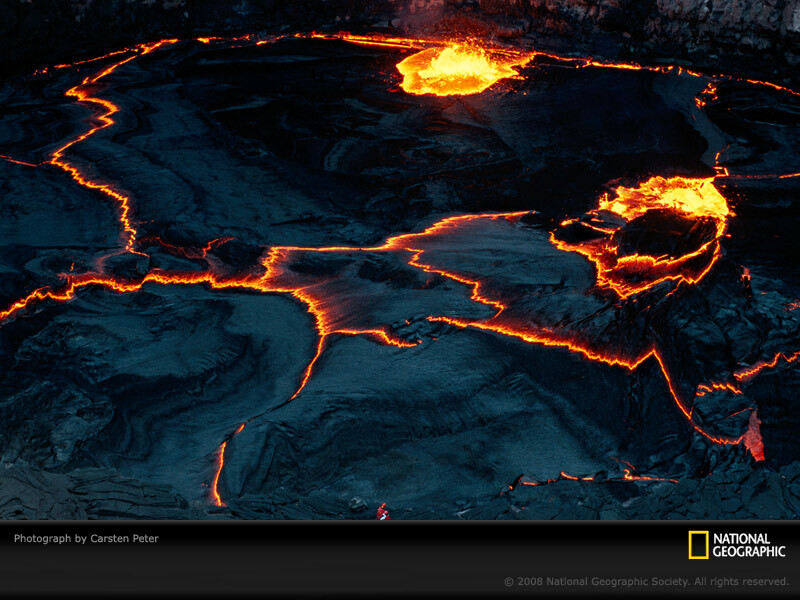 Best attraction – walk to the edge of crater by fragile ash.